Swimming is a time-honored past-time for children. This is a great way to spend a hot summer day or to get some much-needed exercise. However, some children's eyes are incredibly sensitive to water. 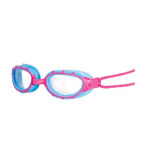 This is where kids swim goggles really come into play. Take the time to choose the best models so that your children can comfortably swim the day away and have the time of their lives. 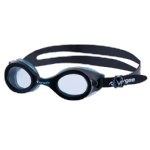 The following are some important considerations to make when purchasing kids swim goggles. 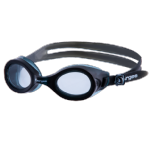 One of the most important things to consider is the size of the kids swim goggles. 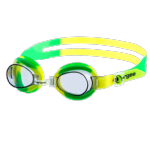 You would not buy the same pair of goggles for a four-year old as you would for a ten-year-old. These items should fit snugly so that water is not allowed into the eye area. 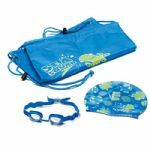 Take the time to look for models that are adjustable so that you can really adapt the kids swim goggles to the child's head. Next, think about the design of the kids swim goggles. You can find really fun models that will bring joy to your life. After all, kids love brightly colored items. This is why so many children's toys are bright and easy to see. 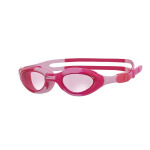 Additionally, brightly colored kids swim goggles are just another way to keep track of your child, especially if he or she is at a crowded pool or lake. You can invest in those that are in neon colors or those that have fun patterns or images like flowers, hearts, trains, and cars. 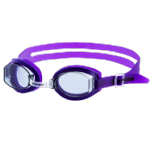 Goggles really make swimming a lot more fun. Invest in them so that your child is not afraid to get his or her hair wet. This will open up a world of fun for you and your loved one when you head to the pool or to the beach!